I’ve been accidentally leaving my zipper down more often recently, and that reminded me of a spiritual truth. I think I may have lost some of you already. For those of you still with me, look down at your zipper. I know this seems weird, but go with it. If you’re wearing a jacket, use that but if not–there’s really only one zipper left to look it. If you’re one of those chic button-fly hipsters, then you can just leave now. 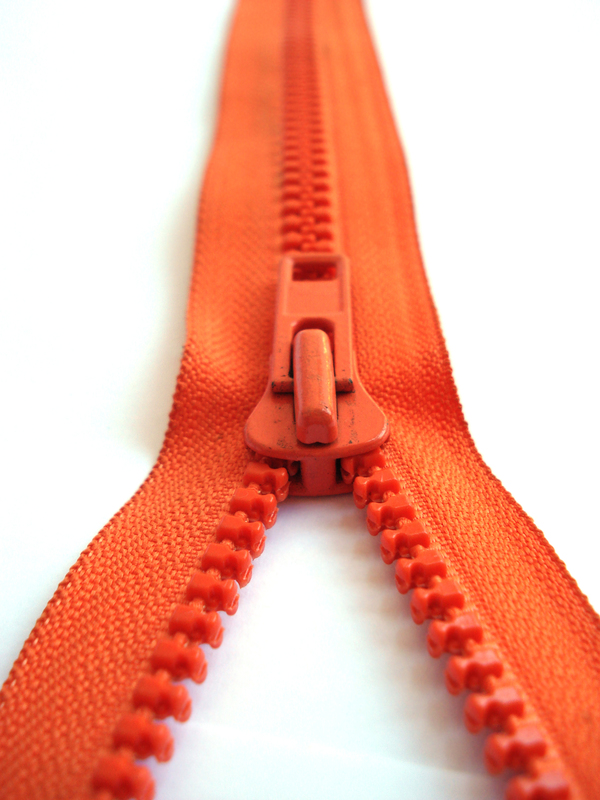 A zipper has basically 3 parts: the “teeth”, the “pull” and the “slider”. They all work together to get the job done. Take one of the three out the equation and none of it works. When you pull up on that zipper pull and that slider moves along those teeth, the teeth do an amazing thing. They mesh together. I know this isn’t rocket science, but neither is the spiritual truth represented in this simple fastener. There’s a theme here, don’t you think? The biblical concept of reconciliation is more than near and dear to the heart of God, it is the desire behind every decision God makes. God’s desire is to be reconciled to you, His creation. The passage starts out stating clearly what happens when reconciliation with God happens: “the new is here!” That is, all things are new. Fresh start. New beginnings. A new day and a new you in every sense. The word “reconciliation” is one that is repeated in different variations through that passage. The Greek word is “katallasso” and its the combination of 2 words: “kata” = “down” and “allasso” = “change”. In reconciling us to Himself, God brings about a “down-change” within us. And I don’t have to convince anyone of the fact that in order for change to happen in our lives–any change–something has got to “come down”. It may be our pride, our habits, our sinful nature, or anything else that might stand in the way of our forward motion toward God. Have you ever zipped up a jacket zipper and gotten a piece of fabric stuck in it? It seems the more you pull, the more fabric gets stuck in the zipper. Things bind up and the zipper doesn’t work the way it was designed to work. If I may, I’d like to draw a parallel here. Reconciliation with God is the meshing of your heart to God’s heart, without any “fabric” getting in the way and jamming up our complete surrender to Him. And once your heart is zipped and meshed with the heart of God, He then gives you the privilege and responsibility of sharing His message of reconciliation with the world. This is our “ministry of reconciliation” handed to us by God Himself. And we’re told clearly that God is not holding people’s sins against them, and He is making His loving appeal of reconciliation to the entire world through those who have already been reconciled to Him. In essence, if I may take a risk here, we’re urging people to “check their fly” and see where they stand with God. Are you reconciled to God? If you are, let me celebrate and praise the Lord! Now, go and allow God to make His appeal to humanity through you. If you are not, let me encourage you to “be reconciled to God”! He’s not holding your sins against you, but let me be gut-level honest: that offer will only stand for a certain time. There will be a day of reckoning when those who have not been reconciled will have to pay their own price for their sins. I beg and urge you if you have not done so already, be reconciled to God. The way your mind works confuses me but it doesn’t confuse God and that’s what is important. Loved this parallel!